If you were looking for a new home in the summer of 1919, you might have considered a Sterling Cut-To-Fit Home. 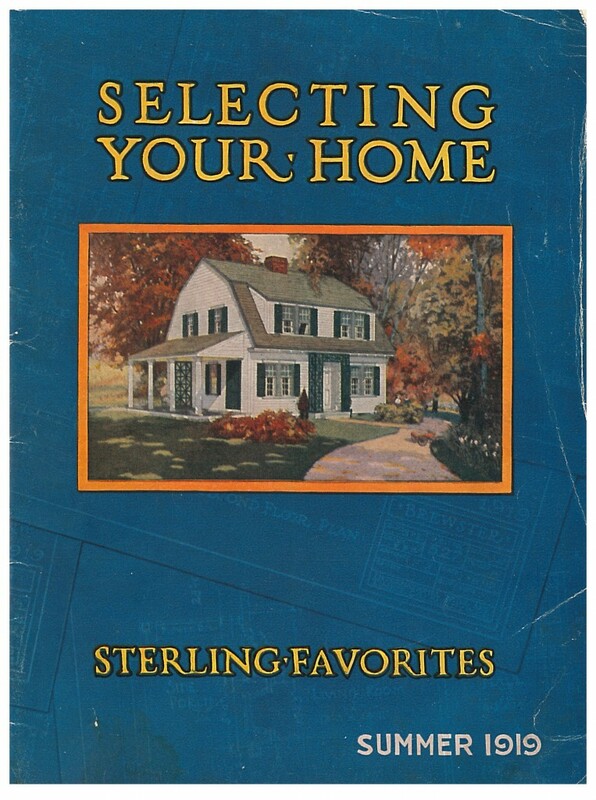 This 1919 International Mill & Timber Co. trade catalog, Selecting Your Home, describes the Sterling System Homes. These houses came in different styles and sizes–one story, two story, large, and small. The catalog includes page after page of illustrations, floor plans, and descriptions. 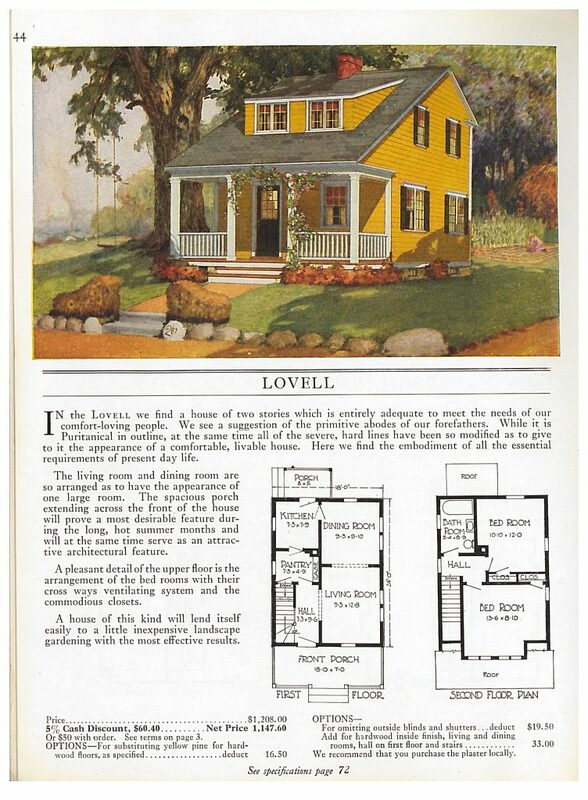 Illustrated below is the Lovell, a two story house with a spacious full-length front porch. It is described as “entirely adequate to meet the needs of our comfort-loving people.” Enter through the front door and you’ll find yourself in the Hall. To your left are the stairs leading up to the second floor. To your right is the living room which opens into the dining room behind it. This makes it feel as if the two rooms are one large room. The kitchen is located at the back of the house to the left of the dining room. Upstairs are two bedrooms and a bathroom. A more detailed floor plan is shown below. International Mill & Timber Co., Bay City, MI. Selecting Your Home, Summer 1919, page 44, Lovell home. 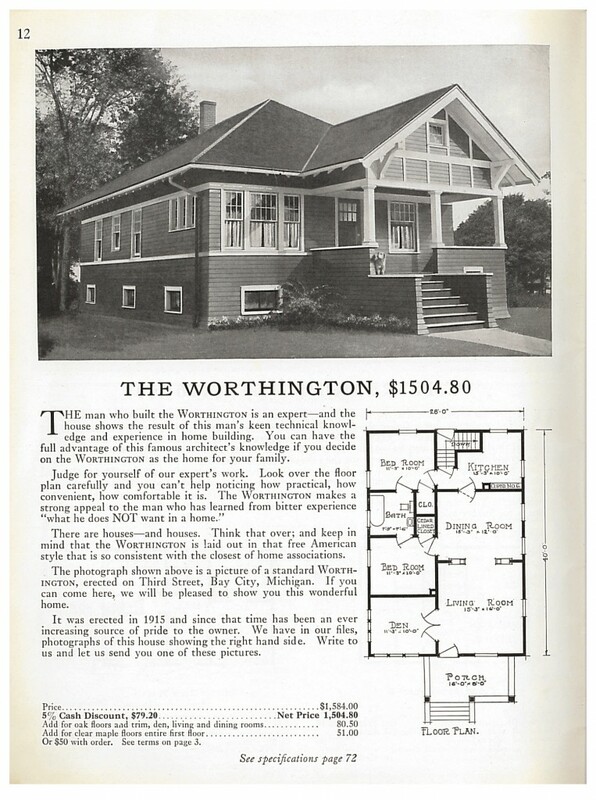 The Worthington is featured on page 12 of this catalog and described as a practical, convenient, and comfortable home. The Worthington is a one story, two bedroom house with a front porch. Shown below is a standard Worthington which according to the catalog was erected in Bay City, Michigan in 1915. A more detailed floor plan is shown below. Selecting Your Home by International Mill & Timber Co. is located in the Trade Literature Collection at the National Museum of American History Library. International MIll & Timber Co.